MSNBC has admonished weekend host Hugh Hewitt for lobbying EPA head Scott Pruitt to clean up a polluted site near Hewitt's home in California. In a statement released Wednesday, a spokesperson for MSNBC said that Hewitt "was given a verbal warning as such activity is a violation of our standards." The revelation of a request for a meeting between Pruitt and Hewitt's law firm came earlier this week after a cache of internal emails was released as a result of a Freedom of Information Act lawsuit by the environmental group The Sierra Club. In one of the correspondences from September, first reported by Politico, the MSNBC host asked Pruitt for a meeting with lawyers from Hewitt's firm who represent a water district that sought federal help to clean up a toxic waste site in Orange County, California, where Hewitt lives. Weeks later, the site was placed on Pruitt's list of areas designated for "immediate and intense" action. Hewitt did not respond to a request for comment. Following Politico's report on Tuesday, many journalists called out both MSNBC and Hewitt for what they contended was a glaring conflict of interest. Fredd Hiatt, the editor of the Washington Post editorial page, where Hewitt has a column, told the liberal watchdog Media Matters that he was "disturbed to learn" of Hewitt's role in brokering the meeting. Hewitt, Hiatt said, "has agreed not to write about [Pruitt] going forward and has assured us that similar incidents won't occur in the future." Hewitt, for his part, dismissed the revelation as a "nonstory." On Twitter, he defended the clean up effort and said that he has disclosed his friendship with Pruitt "about 300 times on air, whenever I have discussed @EPA issues on air or in print." MSNBC echoed the second part in its statement on the matter, but said Hewitt had indeed overstepped his bounds in brokering the meeting. 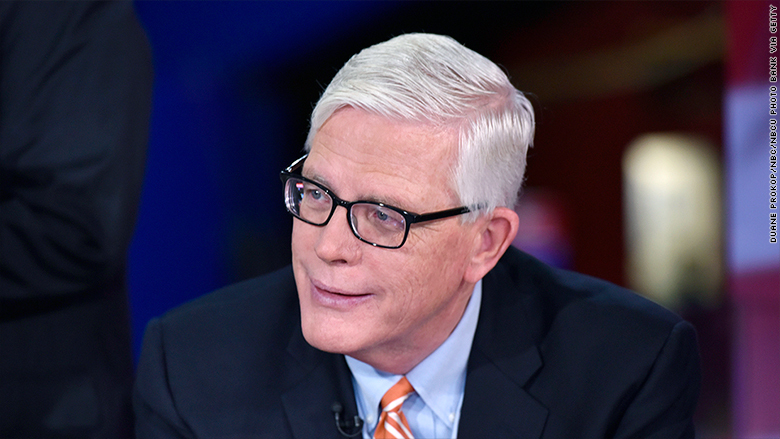 "Hugh Hewitt disclosed several times to MSNBC viewers that he has a friendship with EPA Administrator Scott Pruitt and also that Hewitt's son works for the agency," the spokesperson said Wednesday. "As a result of those relationships, Hewitt stopped discussing EPA-related matters on MSNBC. However, after the network learned Tuesday that Hewitt set up an EPA meeting in the fall, he was given a verbal warning as such activity is a violation of our standards." Hewitt, a veteran conservative radio host whose MSNBC program airs every Saturday morning, is the network's second weekend host to come under fire in a matter of weeks. Late last month, liberal host Joy Reid was pilloried over her unsupported claim that a number of years-old homophobic blog posts were written by a hacker, not her.